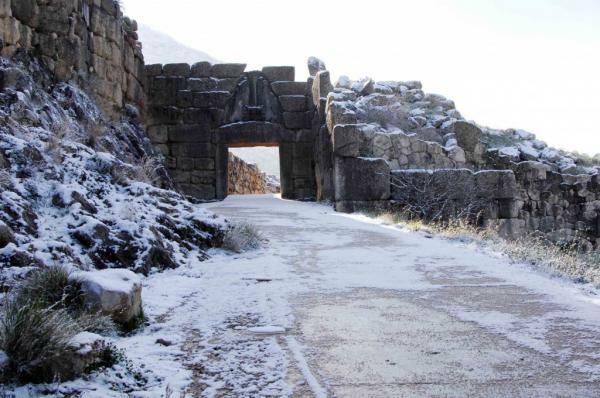 The Lion Gate: An emblem of the Mycenaean prime time (1250 BC), it is the entrance to the ancient city, where we see the remains of the Mycenaean civilization. The widely known Lion Gate took its name from the enormous bas-relief sculpted on the lintel, which depicts two enormous standing lions, stepping with their front feet on a stair. 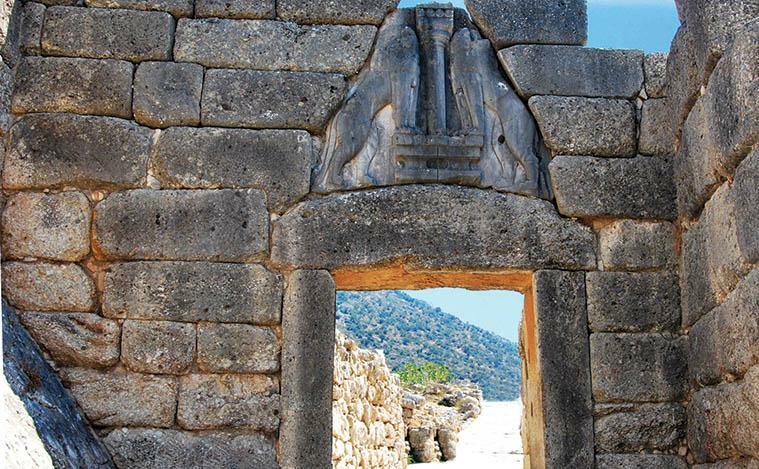 There is a secondary entrance to the north, built the same way. A typical element of the walls is the tunnels going through them, which served as refuges for the guard.